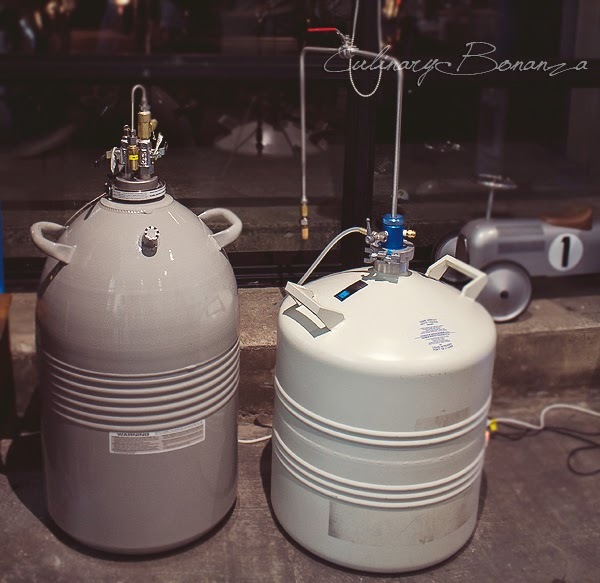 What happens when freshly-pressed lemonade meets liquid nitrogen? 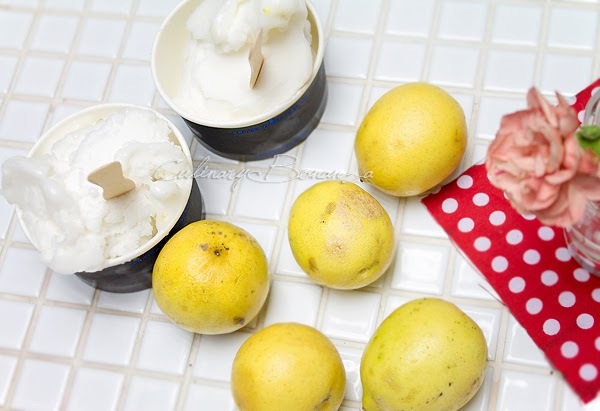 Just 2 minutes later, you'll get this silky smooth lemon sorbet for dessert. 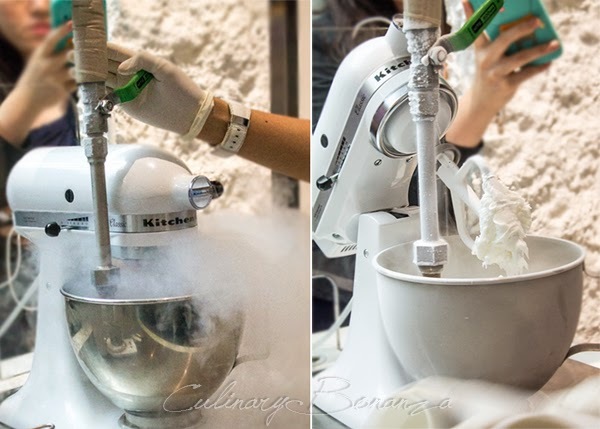 Isn't it amazing, creating ice cream from fresh raw ingredients and all it takes is 2 minutes to crystallize into ice! The permutation of flavour is literally endless. Jakarta's latest obsession trend is about liquid nitrogen (sorry cronuts, but now we think you are overrated). This is proven by the appearance of several liquid nitrogen ice cream outlets in Jakarta's shopping malls since LIN Artisan Ice Cream debuted in June this year. But no worries LIN, you know what they say "Imitation is the greatest form of flattery". 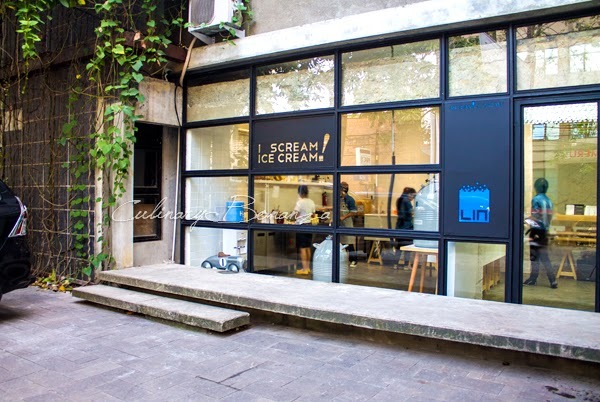 LIN Artisan Ice Cream can proudly claim to be the first liquid nitrogen ice cream outlet in Indonesia, because it is the trendsetter. 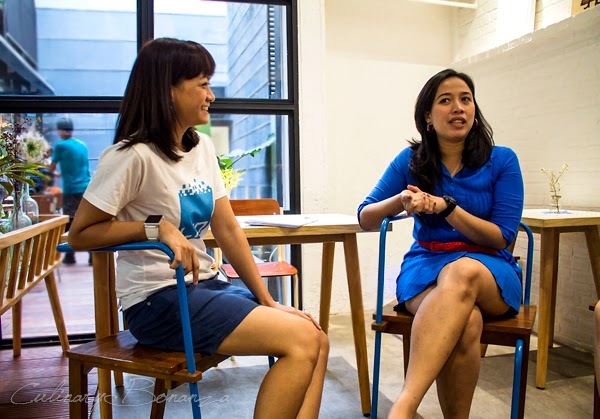 One cannot talk about LIN Artisan without talking about the owner and chief conceptor, Ms. Astrid, who mentioned of her experience learning about ice cream making all the way to Italy! Together with her husband they've also been running Papabubble Caramels Artesan in Grand Indonesia. Talk about dedication, LIN's ice cream only uses natural and fresh ingredients, no preservatives, additives or colourings. That means you cannot take away the ice cream and store it in your fridge and hope it will last 2 weeks unspoiled (because it will). 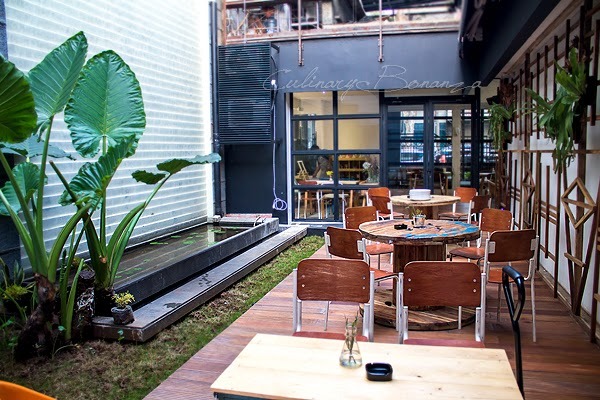 Located at jalan Taman Kemang, the street beside the Colony building that leads towards Lippo Mall Kemang. It's about the opposite of Parc19, right underneath Umbra Bar. Raw Modern architecture interior, open kitchen where you can watch the 'magic' happening, the back porch is a cosy quiet spot on a cool day to lounge with friends and enjoy the weather with a cup of ice cream. 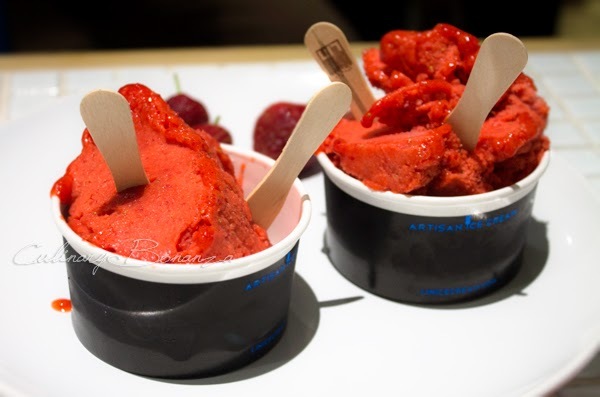 The menu is simple and not light, totaling 12 flavours of Gelato (milk-based) and Sorbet (fruit juice-based), available with Waffle or Cone Add-ons. 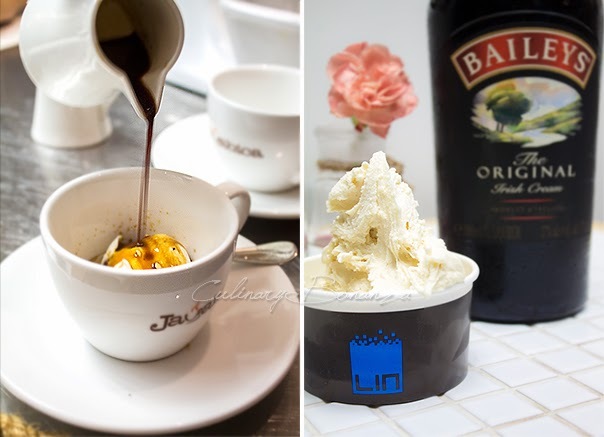 There;s also Signature coffee beverages made with Javabica coffee and LIN Special Menu that brings LN2 ice cream to the next level by combining LIN's ice cream with liquid like coffee and Bailey's. Currently available flavours are Affogato, Passion Latte and Bailey's Cap. 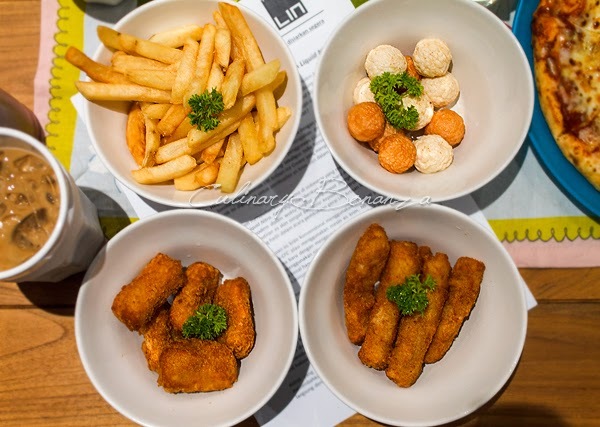 Besides sweet stuff, there are several finger foods to accompany your snack time such as French Fries, Prawn & Squid Balls, Fish Nugget, Chicken Nugget. The nuggets are homemade, not the ones you find in supermarkets. Except for super strict, health conscious dieters, I bet almost everyone can eat and will like the food here, because they are quick-cooking comfort food after all. The ice creams are especially impressive; because of the speedy crystallization time, the resulting ice cream is very smooth. Perhaps due to this factor, the ice cream seems to melt slightly more quickly compared to the conventional refrigeration processed ice cream. That's why I'd recommend that LIN ice cream is best consumed immediately. From those that I tried, my favourite is the Affogato (I'm a coffee addict). I cannot wait to revisit LIN as I'd really love to try the Passion Latte (Passionfruit ice cream on top of warm latte) or the Beer Pong (made from beer). FYI, the sugar level could be adjusted upon request, which means LIN's ice cream is save even if you are not allowed to eat high sugar intake (for medical reasons or others). For franchise opportunities, you could send your inquiries here.